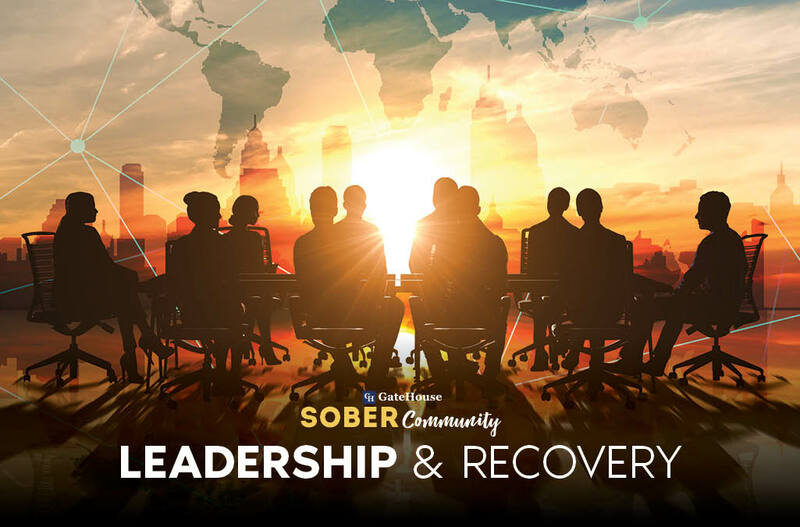 Leadership and Recovery: The Difference Maker | GateHouse Sober Community Leadership & Identification: The GateHouse Difference. Not All Recovery Centers Are Equal. Whether a person is looking for sober homes in New Hampshire or drug rehab centers in New Hampshire, the options are limited. New Hampshire is rated 49th in the state in the treatment service category. One may have to dig a little deeper to find clean, sober living combined with a strong recovery program or a drug and alcohol rehab that stands out. Many want their loved ones to have the best chance possible to change their life. Here are some key components that further solidify the success of a program but can’t be picked up on a website. How do we access the best place for the suffering addict or alcoholic? It turns out there are intangibles that can make all the difference in the world. One of the biggest ones is leadership. It sets the tone, atmosphere and corporate culture for any company in any industry. Psychology today states, “ Great leaders possess dazzling social intelligence, a zest for change, and above all a vision that allows them to set their sights on the things that truly merit attention.” The flip side of that coin is the old proverb, “The fish stinks from the head down.” The company’s success or failure always comes down to its leaders. Many who work in the industry from owners to BHT’s are in recovery themselves. They are addiction survivors themselves. Once pulled out of the darkness, they adopt the personal mission of going back in for others. Both GateHouse Treatment and GateHouse Sober Community were birthed from a similar inspiration. Through these personal journeys, the tone of leadership can be flavored by the traditions of Alcoholics Anonymous. Tradition 2 states, “Our leaders are but trusted servants.” Those in leadership positions with this unique perspective tend to see themselves as servants to those they would help. People often don’t care what you know unless they know that you care. From intake to discharge with a corporate culture of servitude, the experience of a client is felt differently. It’s a “we do this together vibe.” Connection combats addiction. Another intangible aspect of leadership in the recovery industry is that of the of the famous psychologist Carl G Jung: the archetype of the wounded healer. Jackson SW of Yale University Medical School in one of his articles. “The term refers to a person whose personal experience of illness and trauma has left lingering effects on him—in the form of lessons learned that later served him in ministering to other suffers, or in the form of symptoms or characteristics that usefully influenced his therapeutic endeavors.” Clients through the entire process from drug treatment centers to transitional housing desperately seek identification. Often those being helped are soothed to know that some of the people supporting them have transcended the same depths of suffering they are currently experiencing. It inspires hope. Nothing is more potent than an example. There are many in the industry that are not in recovery. They are equally valuable. Clinical modalities are best suited in combination with spiritual practices for total health. Recovery and therapy seek the same goal by way of different methods focusing on various aspects. There is a famous picture of two alcoholics visiting another in the hospital, two men in chairs bedside of a drunk in the bed. Its called “AA number 3”. The men in the chairs are Bill Wilson and Dr. Bob Smith, the co-founders of Alcoholic’s Anonymous. They were wounded healers, leaders, and servants as well. The third man is Bill Dodson, known as AA Number 3. The journey of recovery is the journey of going from the man in the bed to the man in the chair. It usually is a journey of only 12 steps. All good leaders started as good followers. The word leadership is comprised of three words: Lead, Leader, and Leadership. First, we must be lead. Then we grow into a leader. Lastly leadership (or servitude) becomes a way of life practiced daily. The GateHouse tier program is one example of how to immerse a client into leadership: “Tier 3 residents now become role models and mentors to new and incoming residents, and display an active role in the recovery and sober living community.” The big book of Alcoholics Anonymous states, “Practical experience shows that nothing will so much insure immunity from drinking as intensive work with other alcoholics.” (pg. 89). Peer support in any of its varying forms has power. It engenders both belonging and purpose. SAMHSA writes, “Research has shown that peer support facilitates recovery and reduces health care costs. Peers also provide assistance that promotes a sense of belonging to the community. The ability to contribute to and enjoy one’s community is key to recovery and well-being. Another critical component that peers provide is the development of self-efficacy through role modeling and assisting peers with ongoing recovery through mastery of experiences and finding meaning, purpose, and social connections in their lives.” Both life and science teach, its impossible to walk by someone’s side and light their path without also lighting your own. GateHouse Treatment embodies these aforementioned characteristics, and it’s my firm belief that while the path to recovery can be difficult, having people like the staff from GateHouse by one’s side can make a world of difference. Step into the light, and out of the darkness of active addiction, seek recovery today!